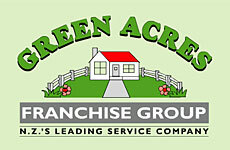 Franchises are often financed with government guaranteed loan programs. The bankers, sales agents (aka “franchisor associates”) & franchisors have a very organized way of dealing with unsuspecting franchise investors. In March 2006, the Ottawa Citizen newspaper published an article called: Mounties investigate ‘predatory lending’. This is the first public mention of a specific example of what I had defined to Industry Canada as Predatory Franchise Lending. The Ottawa Citizen has also published Bank springs another privacy leak on May 14, 2005. Mr. McLeod said CIBC is also investigating the loan granted to Mr. Oudovikine to start the franchise. But he said it is standard practice to make such loans payable to the franchisor, and noted that bank loan documents make that clear. But Country Style chief executive Patrick Gibbons said he’s never heard of such a practice. He was unaware of any dispute over Mr. Oudovikine’s loan. “A loan agreement is business between the franchisee and the lending party, period,” he said. Two bank drafts made payable to the franchisor of +$230,000 in loans plus +$80,000 owner’s equity but with no current account signing officer’s signature? So it goes in franchising.